Stop by and Look Around! 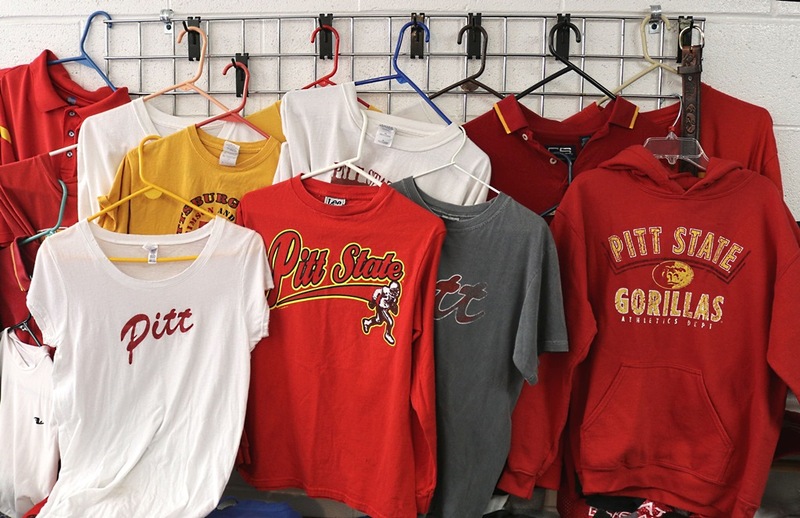 On subsequent visits you might find a great selection of Pittsburg State shirts, jackets and other sportswear—and later you can shop from a similar array of KU, K-State or Chiefs clothing. Visiting the St. Francis Thrift Store often always provides a new and pleasant shopping experience. The St. Francis Thrift Store is a church and community-based service. Proceeds from sales are used to purchase items needed by our church, school or community organizations such as the Fire Department. On occasion we have made direct contributions of merchandise to persons affected by fire or other disasters. Saturday: 9:00 a.m. to 11;00 a.m.